Following in the footsteps of the online campaign to give Frozen’s Elsa a girlfriend, making her the first out and proud Disney princess, Twitter users have been using the #GiveCaptainAmericaABoyfriend hashtag to convince Marvel to do the same with its patriotic superhero. But who is a fitting romantic partner for Chris Evans’ love-starved character? It did not take long for a consensus candidate to emerge: Cap’s longtime sidekick and companion, Bucky Barnes, as played by Sebastian Stan. 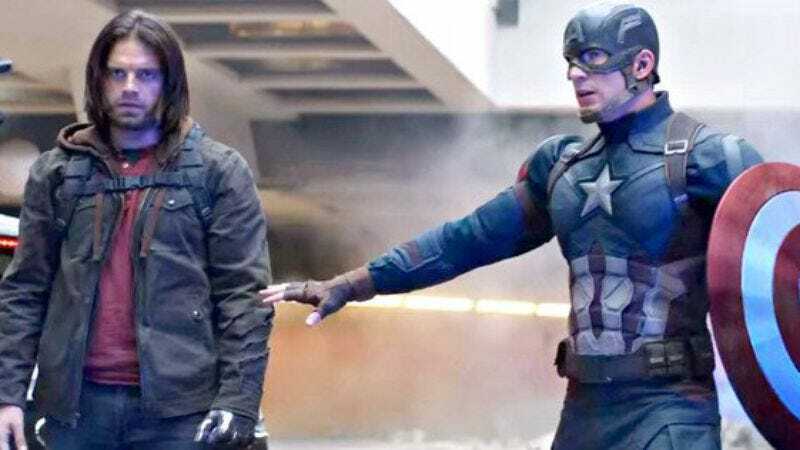 The two obviously enjoy spending time together, and writer Jenna Mullins points out that Captain America is more than willing to risk his life, again and again, for Bucky’s sake. But the internet has been ’shipping Cap and Bucky since long before the hashtag ever existed, and the names of the two characters have even been melded into a catchy portmanteau: “Stucky.” These two already are a couple; it’s just up to the powers that be at Marvel and Disney to make it official. What about Cap’s previous love interests from other films? Well, they’re no match for Bucky and Steve’s undeniable chemistry. And @LiamKelsall suggests that the historical precedent for this coupling has already been well established, in multiple media, no less. The fans have spoken. At this point, it’s up to Marvel—which is to say that once again, it’s up to Disney.